Isabell is using Smore newsletters to spread the word online. 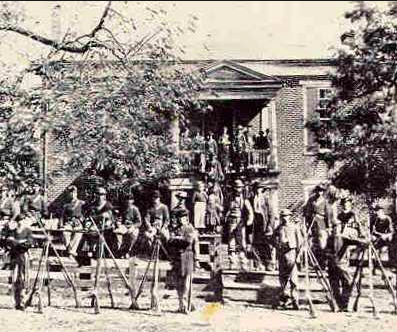 At the battle of Appomattox Court House there were 89285 soldiers in this battle. 63285 soldiers were part of the Union. 26000 soldiers were part of the confederacy. The union was lead by Ulysses S. Grant. And the confederacy was lead by Robert Lee. IN this battle the Union had the victory. The battle of Antietam which started in Maryland, on september 17th 1862. There were 131,000 Soldiers in all. There were 87,000 Union soldiers. They were lead by George McClellan. There were 45,000 Confederate soldiers. THE confederacy was lead by Rebert Lee. They were part of the Maryland Campaign. There was an unknown victory, so nobody knows who won. 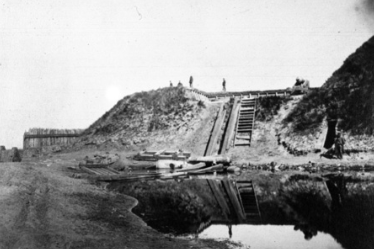 During the battle of Fort Fisher the confederacy and the union were fighting against each other. There were 28,632 soldiers in all. 9632 soldiers were part of the union. The union was lead by Alfred H. Terry and David Porter. The confederacy had 19000 soldiers. They were lead by Braxton Bragg and Robert F. Hoke. At the end of the battle the Union had the victory. 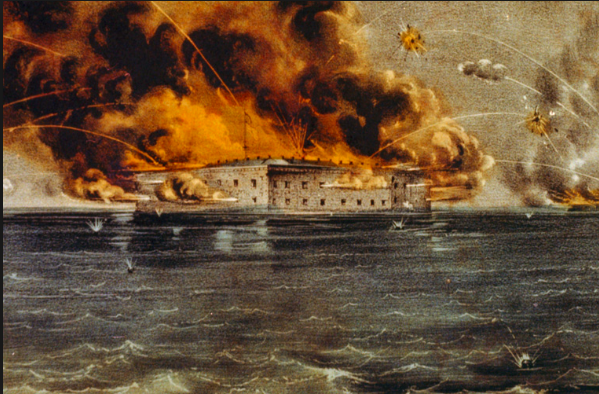 The battle of Fort Sumter started in April 12 1861 and lasted thru april 14 1861. The battle was caused when South Carolina seceded from the union. there were 850 soldiers in all. 80 were in the union and was lead by Robert Anderson. The confederacy had 500 people who were lead by P.G.T. Beauregard. In the end the confederacy won the battle. 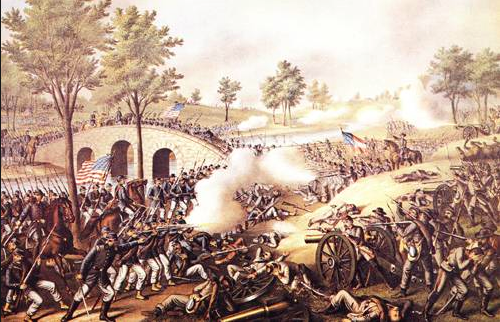 The battle of Gettysburg was from July 1-3 in 1863. There were 165,620 soldiers in all. 93,921 soldiers were part of the union.They were lead by George G. Meade. The confederacy had 71,699 soldiers and was lead by Robert E. Lee. At the end of the battle the victory went to the union. 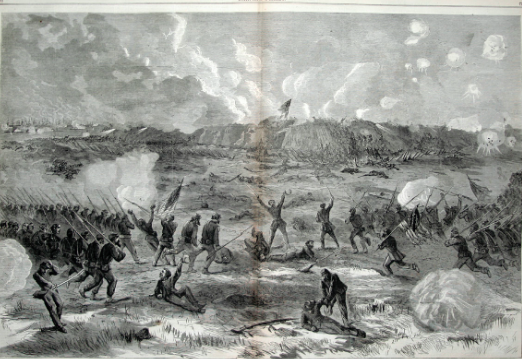 The battle of Fort Fisher was during January 13-15, 1865. The union had 9632 soldiers. The union was led by Alfred Terry as well as David Porter. The confederacy had a total of 1900 soldiers in there party. The confederacy was lead by Braxton Bragg and Robert Hoke.